An elegantly designed multi oval link bracelet crafted in 9ct yellow gold for a traditional finish. A delicate yet distinctive accessory, this chic bracelet would make a wonderful gift for a loved one or treat for you. 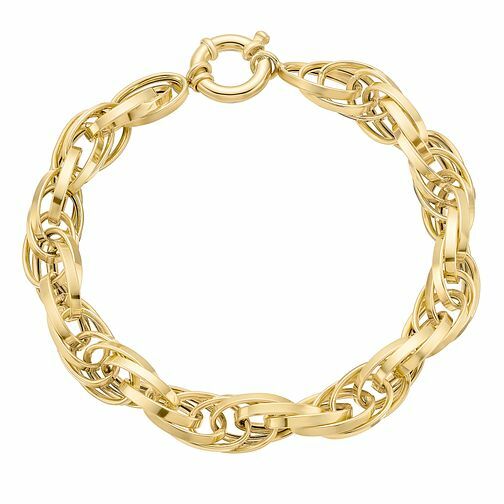 9ct gold multi oval link bracelet is rated 4.5 out of 5 by 2. Rated 4 out of 5 by Anonymous from Lovely Bracelet This bracelet is just what I wanted. Real value for money.Good delivery time. Recommend Ernest Jones any day for their quick and excellent service. Rated 5 out of 5 by Anonymous from Stunning. I had this bracelet brought for my Birthday and fell in love with it so much that I’ve just brought it again in the Sale.Its solid but still very classy and light to wear.Worth every penny even at the full price.